Simon Patterson: "January is going to be absolutely mayhem"
Simon Patterson released his latest track “Vapour Trails”, a vocal collaboration with Dave Wright and we had the pleasure to speak to Simon over the phone about this release, his radioshow Open Up, Trance in 2017 and many more. Sit tight and enjoy the ride. Starting with his latest track, we can’t start the interview without asking Simon about it, the message behind it and how would he describe it. “Vapour Trails” got the same formula or arrangements similarly to “The One” or “Now I Can Breathe Again”. Simon said: “It’s exactly the same template, it follows the same things, techno-ey, psy-trancy in some elements, and a huge breakdown. The only huge difference in this is that it got a live guitar, it’s got drums and it’s got a male vocal. So you know it’s just a big rock-esk, sort of dogzilla-esk. You can check “Vapour Trails – Extended Mix” over here. Fans of your previous styles have mentioned ‘Vapour Trails’ has a distinct sound from your previous releases. We asked Simon about this and he added, “I spent so much time on this track and it even takes a long time for me to even like one my tracks, and you know, as far as I’m concerned, this is my favorite track that I ever made and I’ll play this track in every set for the next 10 years”. On one of Simon’s Facebook posts, a phrase “Come January” was mentioned, hinting to a very strong 2017 in terms of new releases and shows, so we had to ask Simon about this, and we were lucky enough to have a glimpse of what 2017’s bringing. About his “Open Up” radioshow and tour, Simon thanked all his fans for the support they gave him to make his 2016 shows a huge success and he promised to take “Open Up” to even more countries in 2017, especially Holland, USA and Asia. He also mentioned how much he love doing the Open to Close with John Askew saying “I love doing the open-close with Askew. I think it really works”. However, as for the radioshow, Simon is planning on making it a monthly 2-hours show instead of weekly and here’s what he said about it: “It takes so much time trying to find theses tracks to play in Open Up. I love techno, I love breaks, I love trance, I love everything and I was so passionate about it and went weekly. But now I prefer to cut it back to 2 hours show and do it monthly and make it as special as possible with proper presenting and spending more time on it rather than just forced to play tracks just to fill airtime. So 2 hours show starting January and taking touring to a whole new level”. As for Trance in 2017, Simon believes it’s going to be a huge year for Trance, there are many new talented producers with fresh sounds. Trance is going to be bigger and bigger. 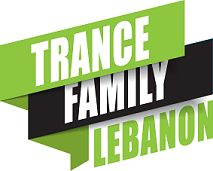 “Trance is in a very strong place in every aspect, Tech Trance, Psy Trance, Uplifting Trance. All 3 of them are on the up”.